"Having spent a large part of the 1980's writing songs and shorter pieces almost under duress from the record company, this is probably the first album where Mike has put together a collection of songs with more traditional rock or pop structures without having to please or appease anyone. This climate has undoubtedly created a more harmonious environment for the creative process even if many of the songs deal with the fall-out from Mikes personal circumstances. In any case, the creative impetus derived from his situation and the will rather than pressure has I believe given the songs on this album space to develop and breathe, where previously there may have been an unwelcome under current which shaped the music, production and delivery. Not every Oldfield fan will welcome this album as it is a departure from the format of his most critically acclaimed and admired works. Others may feel that it does not break new ground in the way that some of his other output has done. 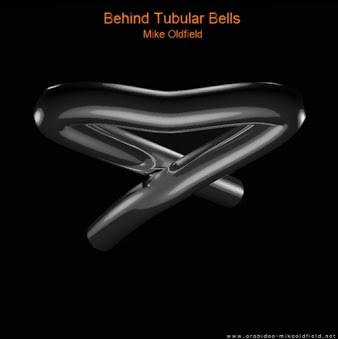 It may also be suggested that as most of the instruments are played by "session" musicians rather Mike, that this is not a Mike Oldfield album. This is nonsense, Mike has had many guest or session musicians appearing on his previous works. These things said, there are many things that are positive about this album. There is clearly a lot of emotion and feeling in the tracks, particularly in Man on the Rocks, which Luke really seems to bring out in his dynamic vocal delivery. For the guitar fiends, there is plenty of trademark Oldfield guitar solos featuring across all the tracks. The two marry together particularly well on the track Castaway. The tracks have a clear crisp production with less layering than regular listeners might be used to with Mike's more complex works. I like the energy of the album, there are a couple of tracks which are potential single contenders such as Minutes and Dreaming in the Wind. Although it is "heavier" than much of Mike's catalogue output with some rockin' tracks such as Chariot, and and a liberal dose of power chords and anthemic guitar solos such as the one on Nuclear. My initial thoughts are that these are a bunch of well crafted pop songs. They might not be to everyone's taste, and it may divide fan opinion, but this could well win some new fans, particularly as the record company seems to be gearing up the promotional engine to get this out to a wider audience. In terms of comparisons, which I am only suggesting for those that have not been priviledged to hear it, the style is Moonlight Shadow with some Shadow on The Wall, Discovery and a dose of Outcast. Clearly, there is much more variety than this on the album, but Mike has drawn on the successful formula of Moonlight Shadow but cranked up the energy and created a bigger more dynamic sound. A key ingredient in the atmosphere and feeling created by the tracks is Luke Spiller's vocals. He delivers an incredible range and a number of different styles from the anguish ridden Nuclear to the more gentle and laid back Following the Angels Down. His selection as vocalist is a triumph. Sailing aside as most folks have heard that, Moonshine reflects on an experience shared with Phil Spalding in Ireland back in the mid 80's. which is captured through an "Irish" feel in part due to the pipes. Castaway starts off with a gentle acoustic, lo-fi style be-lieing the subject matter of the song, which then launces into a catchy and ear-worm like anthemic track, and Mr Spiller delivering a sterling performance. The title track and Nuclear deal with the fall-out from the breakdown on Mike's marriage. The lyrics on the former are touching, on the latter deep and demonstrate the turmoil left in the wake of the separation from his wife and children. Luke delivers an emotive vocal carrying the sentiments directly into the listener. A couple of the tracks don't grab me in the way that most of the album does, Irene a track about the hurricane that hit the Bahamas in 2011 and Giving Myself Away (a cover version) are perhaps a little too formulaic and MOR for my liking, but that doesn't mean they could be slow burners. The album is undoubtedly Oldfield, with some guitar solos to rival some of his best. In terms of broader appeal, Mike has used the awareness generated by his Olympic appearance to fuel a rennaisance in his interest in writing and recording music again. Has the potential of a wider appeal for his music driven the format or a natural platform for the catharsis of his personal circumstances? Listeners can make their own mind up. The style of the album, has clear commercial intentions and may well be prime for raising of Mike's profile again in the American market. 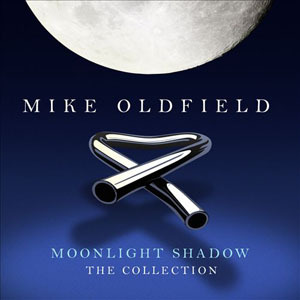 The formula on this album may be proven, but 30 years on from Moonlight Shadow, Radio 2 have now A listed Sailing, yielding the possibility of a new Oldfield single in the charts."